21 June was an international day of action in solidarity with the #noprotestlaw campaign. Find details of protests on the day and afterwards on the international campaign website and the FreeMahienour Facebook page. A march by activists in Cairo against the protest law was attacked and around a quarter of the participants were arrested. See our collection of posters for the new detainees here, follow the latest on charges from the international campaign website. 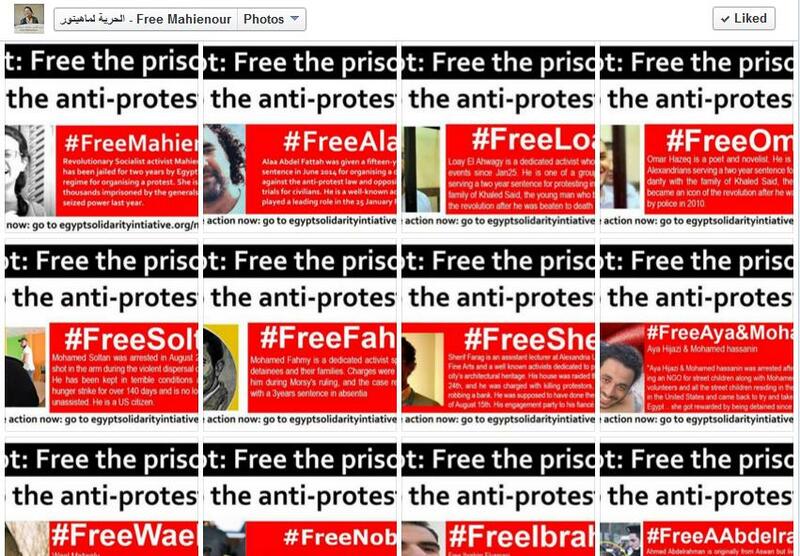 Share from the FreeMahienour Facebook page publishing regularly in English and Arabic andEgypt Solidarity Initiative publishing in English. Liberté aux détenus en égypte (France).